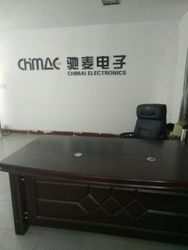 Yueqing Chimai Electronic Limited Company is located at Yueqing City ZhenjingProvince, which lies to the East Ocean and is famous for Yandang Mountain. 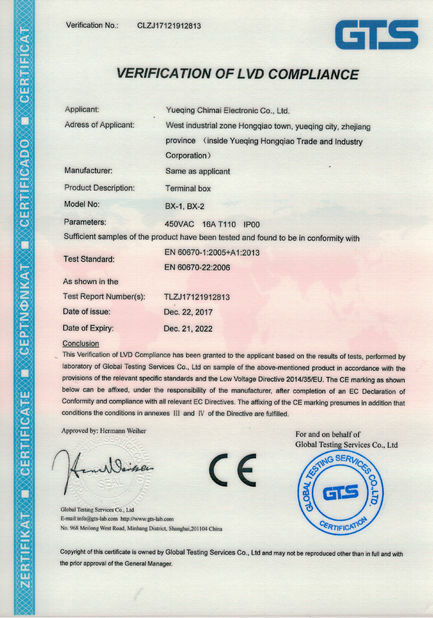 Yueqing is conferred the name of theproduction depot of electronic element and instrument and the manufacture depot of accurate mould. The traffic is ver3t convenient --- It is about 50 kilometers from Wenzhou Airport and the road lines and expressways are through the city. Our company mainly produces and supplies series of Rocker Switches. Micro Switches. Slide Switches. Push Button Switches. Revole Switches. Terminal Box, Power Socket. Explosion-proof Electrics. FlatCable Connectors and other Stripped Connectors, etc. Adhering to the principle of Quality first, Customer first, Credit first and handling the company according to the standard of IS09001 (2000version) Quality management system, our companysupplies high quality of products and good service for the customers. 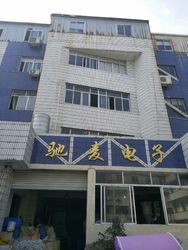 Yueqing Chimai Electronic Limited Company sets up a complete rule system. We have excellentmemebers, advanced facilities, standard detecting instruments and are experts in reseaching. Wealso import foreign and domestic technologies in order to research more products to meet the needsof the customers. Because the goal of our company is to practice creation and become promoted continuously. Takes effort on the cooperation with the customers. Founded and grow up ,supply rocker switch,rotary switch,terminal box and other switches. Focus user experience, Begin independent R&D,supply standardization design,improve the methods of productions. In the future,develop more intelligent products and involve in new field,keeping innovation. 1) Quality always stands the first” and “Honest” is our concept. 4) 24 hours phone call is available,feel free to contact with us. 5) All goods produced by ourselves,we provide one-stop services from designing,printing to processing.Customers can provide the design according to your request and samples making,also we can advise how to make the products according to customers' target prices.